Will your next cruise be on a ship that looks like these classic Deco era liners? 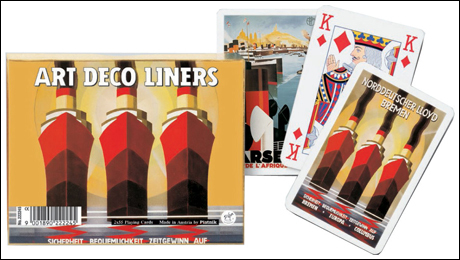 Even if it isn't, this Art Deco Liners double deck will set the right mood. They'll play just as well in your games at home. Cards measure 2-1/2" X 3-1/2"